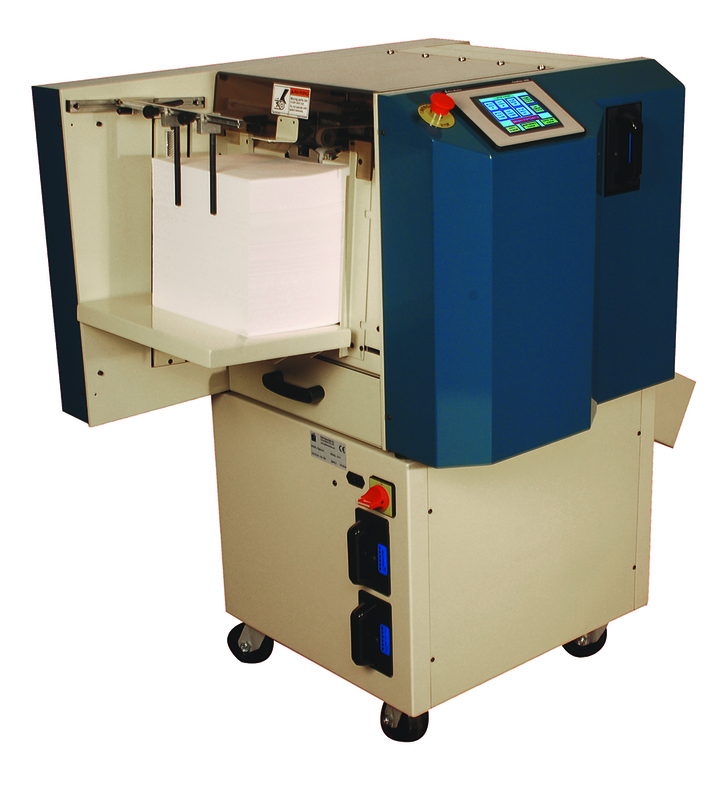 The Sterling® Digipunch® is an economical high speed automatic paper punching machine designed for short run binderies as well as digital and commercial printers. The machine allows for punching up to 72,000 sheets per hour! That’s a big pile of paper for a small machine and a half million sheets per shift. The Sterling® Digipunch® features a variable pile lift, which allows for slowing the machine down for difficult jobs, such as stock that is curled, stock with static, or acetate. Punch sheets with covers or tabs intermixed. A touch screen offers complete automatic set up and automatic changeovers. The touch screen takes the guesswork out of the maintenance cycle by prompting operators when it is time to lubricate or sharpen the die. Unlike many other machines, it is possible to run the machine in reverse to clear jam ups. Punch sheets from 4.25 X 5.5 inches to 12 X 14 inches for Plastic Coil, Double Loop Wire, Plastic Comb, Three Hole– or any hole pattern. The Sterling Digipunch offers the latest development in paper punching equipment to make swift set up and changeovers. Embrace the latest in digital technology with The STERLING DIGIPUNCH.